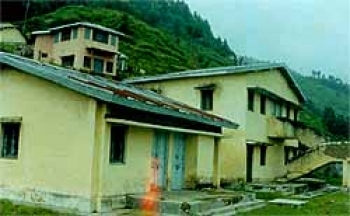 GMVN Tourist Rest House in Sankri provides best budget accommodation as base camp for Har ki Dun Trek. Sankri is a scenic village situated at a distance of 162kms from Dehradun in Uttarkashi District. It is located in the Tons Valley affording majestic views of the snow-clad Himalayas. 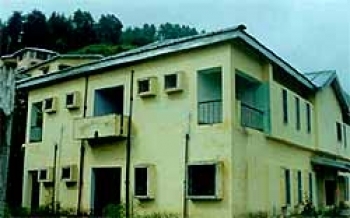 Accommodation in Sankri is categorized in Economy Class and Dormitory. It offers basic accommodation facilities at affordable price. GMVN Sankri is located in small Hemlet, Sankri connected by road to Mori. Sankri is the entry point to the scenic valley of Har-ki-Doon. It is nestled at an elevation of 1,950mts above sea level in Uttarkashi district of Uttarakhand state. The GMVN TRH in Sankri offers 05 Economy rooms and 15 Bedded Dormitory which are best for trekkers to Har ki Dun. It provides basic amenities such as attach bathroom, hot water supply etc. There is kitchen in the GMVN Sankri serving healthy snacks and delicious food.